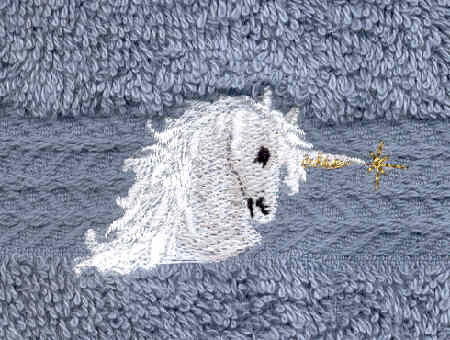 The Unicorn Woman now has the ability to do customized machine embroidery. 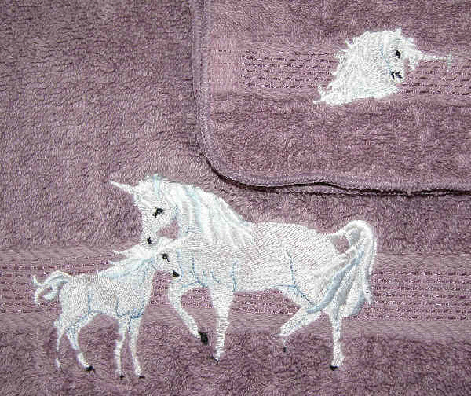 I am able to use select machine embroidery (like monograms) on my miniature tack. Other designs must be used with are full-scale projects, such as pillows, baby bibs, etc. 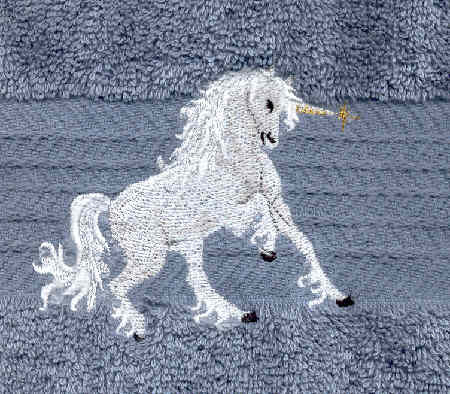 I like working with the designs from Embroidery Library. They have some wonderful designs. My machine format is .pcs or .vip. If Embroidery Library does not offer your favorite design in that format, I am unable to sew it out. Sorry! Webpage content copyright of Melody D. Snow.